It is still unknown what – if any – punishment West Brom striker Nicholas Anelka will be handed for his ‘quenelle’ gesture after scoring against West Ham last December. He has appealed the Football Association’s charge, and the hearing is not due till the end of the month due to the FA taking unusually careful consideration of the issue. A lengthy ban in March could prove fatal for West Brom’s season. Although he’s only scored two goals since joining the club last summer, the presence of such a renowned player in a Baggies shirt has noticeably helped rouse the crowd at games. He’s seen as a positive influence on the training ground, passing on experience and skills to the younger strikers and establishing a partnership with the 20 year old Saido Berahino. With West Brom outside the relegation zone only by goal difference, losing Anelka might just tip them into the abyss. But more importantly, does Anelka deserve a ban? 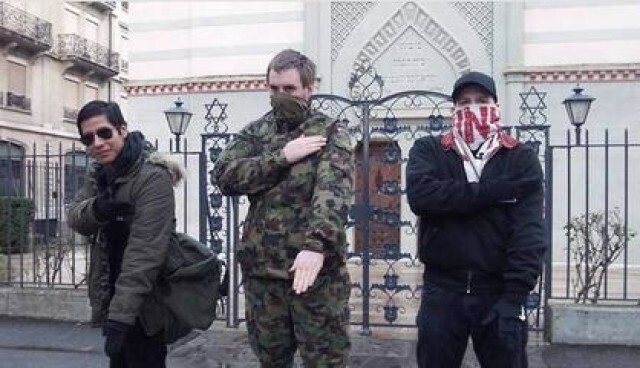 Whilst he insists his gesture was not antisemitic and was merely a show of support for his friend Dieudonné M’bala; it’s hard to disregard that Dieudonné has been convicted numerous times for antisemitic hate speech in France, or that the quenelle looks suspiciously like an inverted Nazi salute. Only a week before the West Ham game Dieudonné was in trouble for suggesting to a Jewish journalist that it’s a ‘shame’ gas chambers no longer exist. 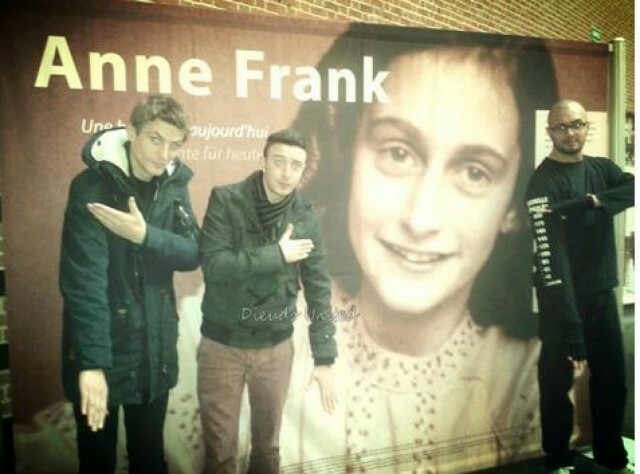 Whilst Anelka may not understand this and may believe he’s merely being anti-establishment, the quenelle belongs to a long European tradition of associating Jewish people with sinister power. This is what the Austrian socialist Ferdinand Kronawetter meant when he called antisemitism the ‘socialism of idiots’. It takes justified feelings that society is run for the benefit of a small number of powerful people to everyone else’s detriment , but then misdirects this towards irrational prejudice and conspiracy theories which only distract people from combating the very establishment they profess to oppose.With West Brom improving somewhat under new manager Pepe Mel, they ought to prepare to keep picking up points without their most famous player. Formula 1 has traditionally been a byword for glamour, extravagance, and lavish expense. Just look at Monaco, its most famous circuit, where Hollywood stars lounge in yachts, and drivers spray champagne left right and centre. In 2012, the FIA heralded the start of a new era in motorsport by introducing an environmental accreditation scheme for teams and circuits, the first of its kind, in order to introduce ‘clear and consistent environmental standards’. But the new 2014 rules are set to go one higher than that. They place a far higher emphasis on energy recovery and fuel consumption, a problem to which the crowds of ordinary F1 fans who flock to Spa-Francorchamps or Silverstone for a weekend of camping and motorsports can relate to a lot more easily. The technology used in Formula 1 has often been later applied to what we could call ‘real-world’ situations. Notable examples of this include carbon-fibre incubators used to transport new born babies, inspired by Formula 1 cockpits, kinetic energy recovery systems – flywheels – from Williams F1 Engineering being used for power savings in London buses, and the aerodynamic styling from Formula 1 cars being used on road cars. However, the competition has never focused too strongly on environmental issues – when you’re flying round a track at 350 kmph, or running a team with expenses of £174 million every year, it’s not the first thing on your mind. But there have been major regulation changes for the 2014 season, and it looks as though Formula 1 teams will have to start ploughing their not-inconsiderable budgets into energy technology. Firstly, the most significant change. For seven years, the engines in Formula 1 have been 2.4 litre V8s. They were naturally aspirated, which means that the air intake depends only on atmospheric pressure. This leads to a less efficient engine, albeit with a simpler design. However, for 2014, the new engines – to be used by all teams – will be 1.6 litre turbocharged V6s. These are smaller, they use less fuel, and they are open to more sophisticated ways of boosting efficiency. The turbocharger, as used in most of the cars we drive today, is a turbine-driven device that uses otherwise wasted airflow to force more air into the engine, thus making it more efficient. The teams also have a fuel limit of 100kg of fuel per race, and a rate of fuel use limit of 100kg per hour. While fuel consumption varies depending on the circuit, the car, and the track conditions (among other things), last year teams used around 150kg per race, and there was no upper limit to what they could use. The fuel used has also been a minimum of 6% biofuel since 2010, mimicking the similar regulations in European law for commercial fuels. 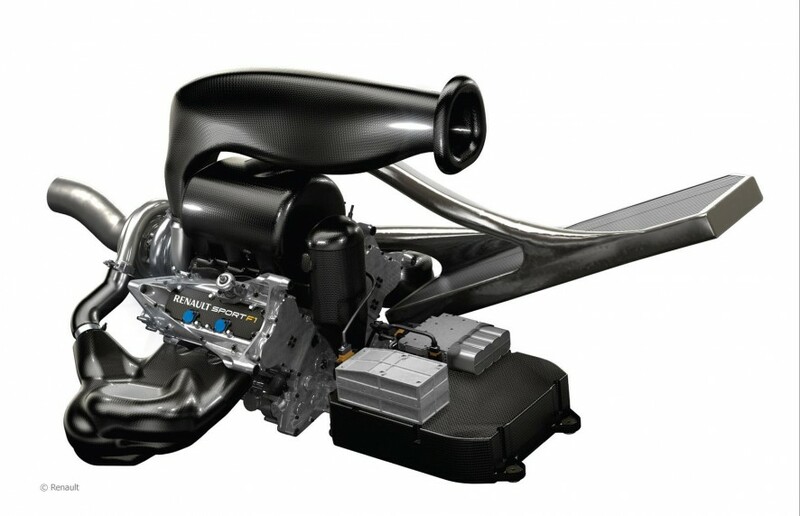 Since 2009, Formula 1 cars have been using KERS, the Kinetic Energy Recovery System, which stores energy from braking in electrical form, which can then be reused when the cars are accelerating. This year, the energy recovery is not limited to the brakes – teams will be able to use a second electric motor to recover the heat energy that would otherwise be lost from the turbocharger. This will also require more advanced cooling systems. The computers in the car used to manage the engines will determine when the saved energy can be most efficiently used. This means that the hybrid systems used in the cars will be more than twice as powerful as they were last year. In addition to all this, the regulations have also enforced more ‘downtime’ and restrictions on testing and factory work during the summer break, which will, according to a 2010 report by Trucost, cause roughly a 10% decrease in carbon emissions. The eventual result of all this new technology being used in a top-end motorsport is, of course, innovations that will drift down to the everyday level. When teams are restricted in how often they change gearboxes, engines, and other car parts, reliability and endurance will be more relevant than ever. Hopefully, soon we will see Formula 1 turn its seemingly endless supply of money and brainpower to solutions that will revolutionise and reenergise the eco power industry – and with tickets to the British Grand Prix at £170 a pop, it’s about time.